So, you're ready for your sesh. You roll up a nice blunt and light up, only to realise that your throat really hurts. Put the blunt down and read this article for quick and easy ways to soothe and prevent a sore throat. Having a sore throat while you’re smoking your favourite bud can ruin the experience. Nothing worse than wanting to get high, but hating the process. 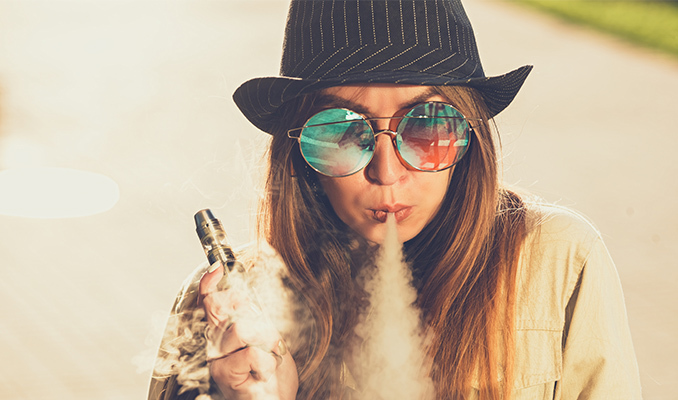 A lot of people prefer smoking a joint, blunt, or bowl rather than eating an edible or vaporizing. For these people, having a sore throat can be a very annoying reality. There are unfortunately many reasons for a sore throat. If you’re already sick, this might be the worst scenario. There isn’t much you can do besides wait it out. But the recommendations we give below will still work in the short-term for when you’re blazing. If you’re not sick and haven’t been to a loud music festival in the past few hours, chances are you’ve been toking hard. You might be taking way larger hits than you can handle. This will cause you to cough, which will only add to the discomfort. You might also be smoking poorly dried/cured bud. The moisture in the flower will produce a harsher smoke. If your grower isn’t drying the buds properly, chances are he or she is not taking good care during the cultivation process either. Your plug might be using harsh chemicals and pesticides to achieve bigger yields. You may not know they’re there, but your throat sure feels them. Finally, try using less or no tobacco if you’re including it in your spliffs or bowls. First of all, if you’re doing any of the things mentioned above, stop it. Take softer and shorter hits. Try putting the joint down for a couple of minutes in-between puffs. Another thing that’s essential is to always have some water by your side. Whether in a bottle on-the-go or a glass at home, have it near whenever you’re about to take a toke. Taking a few sips before, during, and after the process will dramatically improve the experience—and keep you hydrated in the process. You can also consider a cup of tea with honey to gently warm and coat your throat. Throat lozenges will surely do you good too. These act fast, but be sure you’re not taking more than the recommended quantity. And if you’re still not feeling 100%, you can go one step further. A lot of people stand by gargling on warm salt water. We’re not sure how far this goes scientifically, but it sure seems to work. Just let a tablespoon of salt dissolve in a glass of warm water and gargle on it for a few seconds. Don’t swallow it as this will only dehydrate you further, and it tastes gross. Making sure your herb is of a high quality and that you rolled a proper joint or blunt will be a great step towards a smoother smoke. Break the buds further to remove the central stem and pick out any big sugar leaves if you can see them. If you’re rolling a blunt, try using hemp wraps. These will be much smoother than tobacco ones. And if you’re rolling joints, get the thinnest and most natural papers you can find. But if you really want to take it to the next level, you can purchase a humidifier and keep it in the room where you’re smoking. This will ensure that the air isn't too dry, and will help to keep your throat and sinuses hydrated and irritation-free. And finally, try to keep away from spicy and acidic foods around the time you smoke. That means staying away from anything Mexican or Indian, as well as lemons!